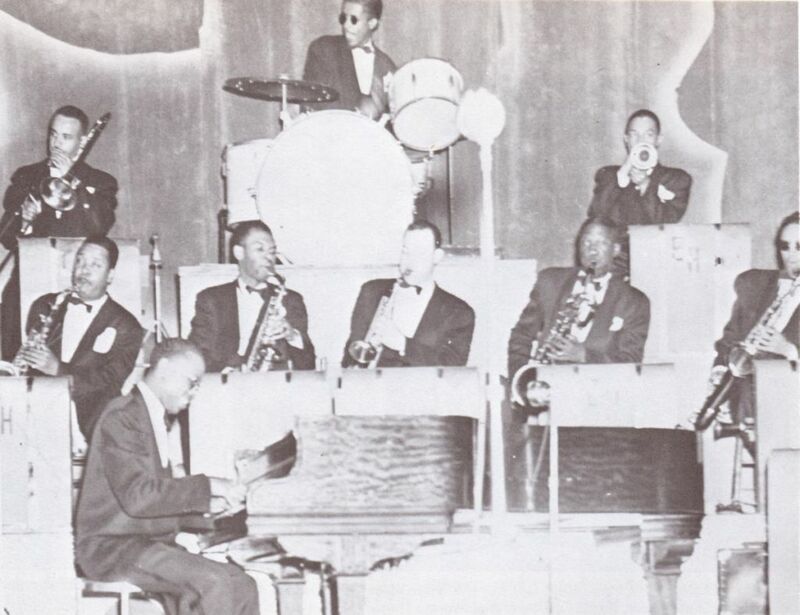 Earl Hines Orchestra possibly December 1944/January 1945. 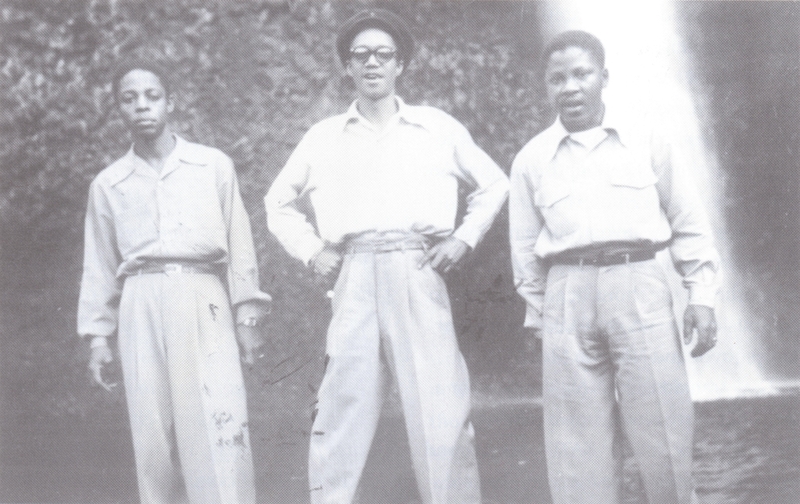 Gray is on the far right wearing dark glasses. From The World of Earl Hines by Stanley Dance. From Jumptown - The Golden Years of Portland Jazz, 1942-1957 by Robert Dietsche. Oregon State University Press, 2005.
poss. 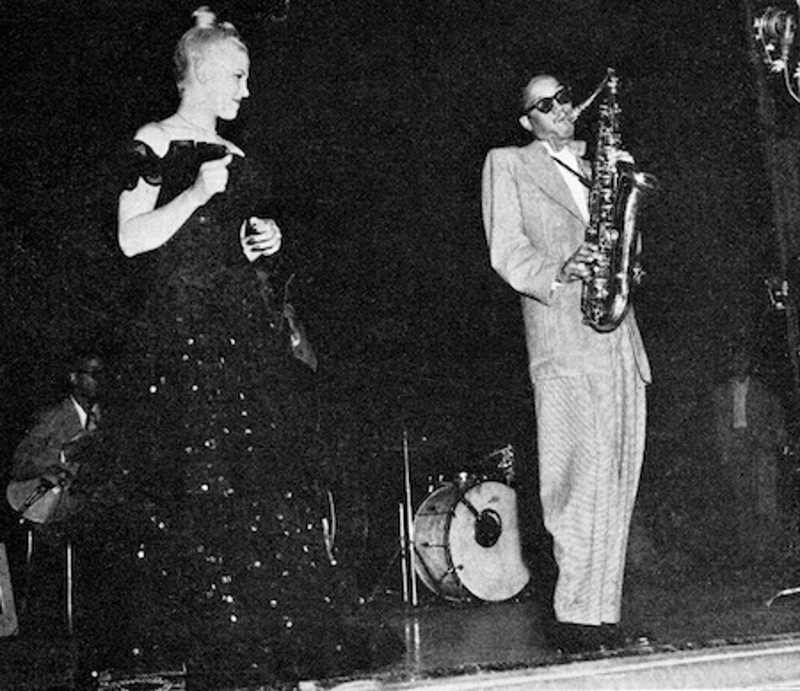 Jackie Mills or Don Lamond (d); Howard McGhee (tp). Gene Norman's Just Jazz Concert, Civic Auditorium, Pasadena, CA, April 29, 1947. 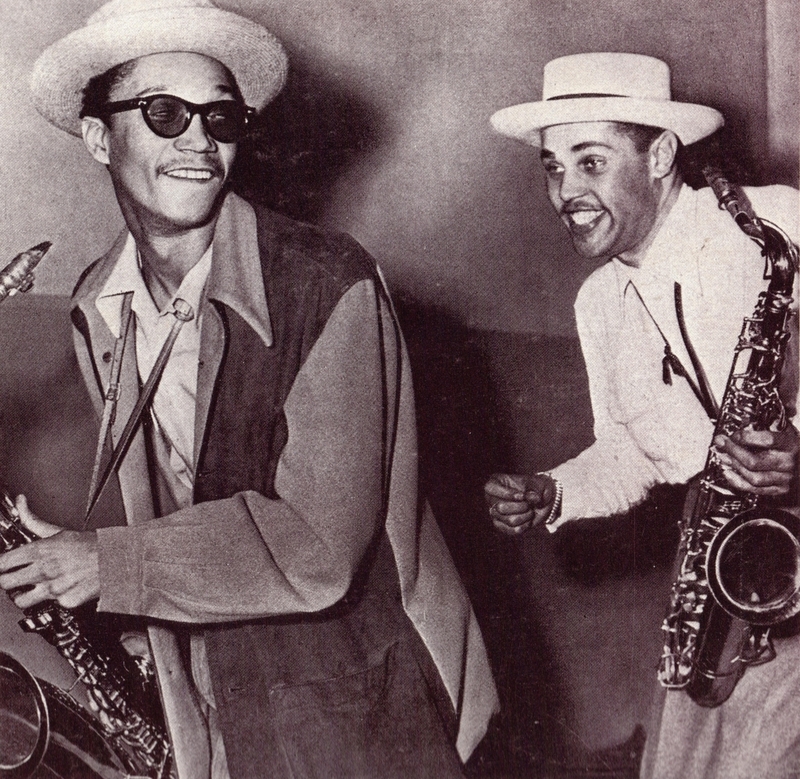 From: Black Beauty, White Heat 1920-1950 A Pictorial History of Classic Jazz by Frank Driggs & Harris Lewine. William Morrow and Company, Inc., New York, 1982. The famous Wardell Dexter “The Chase” publicity photo from the Summer of 1947. 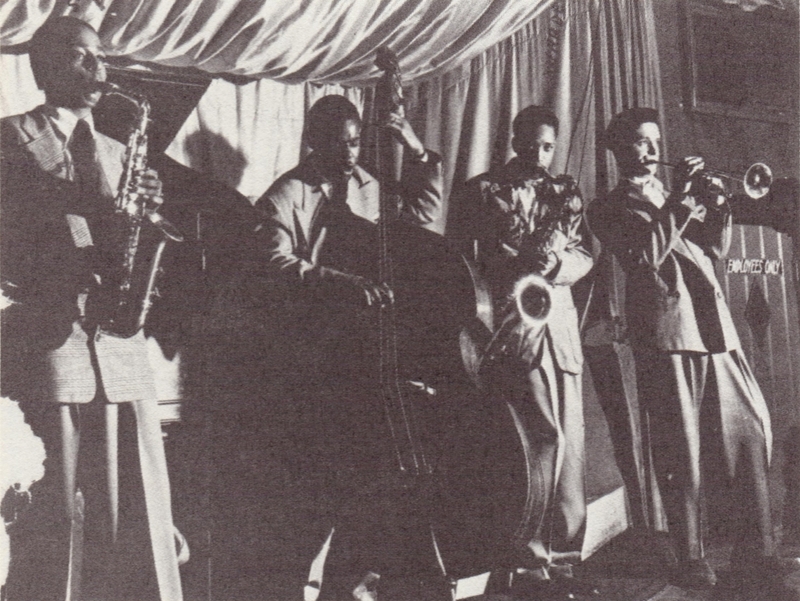 From the cover of the Jazz Heritage Lp “The Chase and the Steeplechase”. 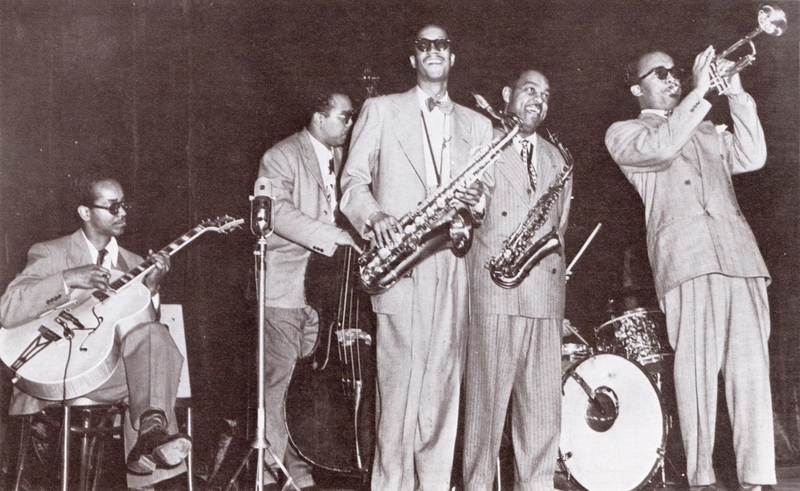 Sonny Criss (as); Clarence Jones (b); Wardell Gray (ts); Kenny Bright (tp). From There And Back: The Roy Porter Story by Roy Porter and David Keller, Louisiana State University Press, 1991.